After spending a day and a couple of nights in Rome to get acclimated to the time change, we took a train up to Milan and another to Varenna on the east shore of Lake Como. This is the view from the Hotel Eremo Gaudio, up the hillside and south of town. 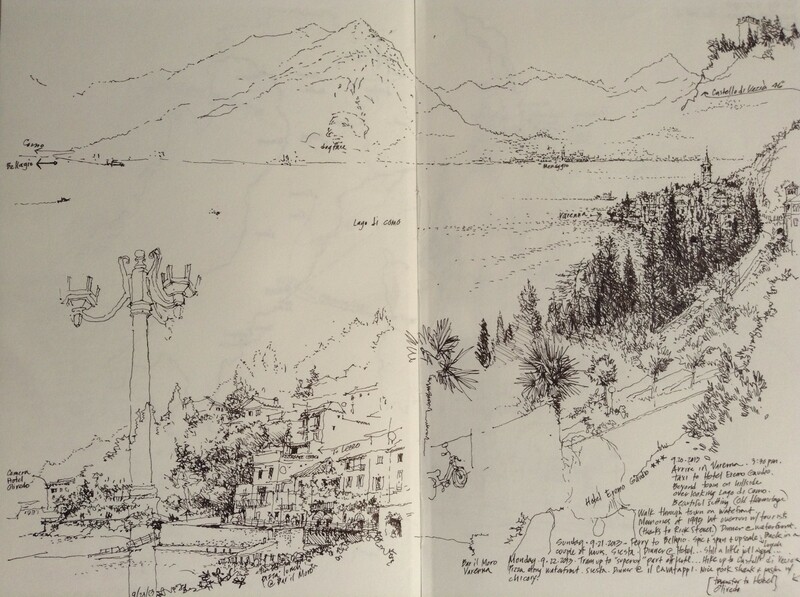 The other sketch is from a terrace cafe on Varenna’s waterfront. When we first visited Varenna in 1995, it was a much quieter place. It’s more popular now, especially on the weekends, but it remains a spectacular setting for a respite.